Mobile patrols have become more and more popular, so if you are looking for a professional security company offering highly trained guards, then look no further, we shouldbe your No 1 choice! Our Mobile patrols are ready to respond at any given time of day or night, whether expected or unexpected. Do you need late evening hours covered, weekends or bank holidays? We have the resources that other security companies may not have. 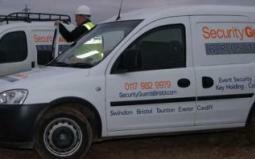 Bristol Security Guards offers you the security you need to ensure your property or business is protected. You can call on us 24 hours a day, 7 days a week. Whether you need a full time or part time guard on duty, our security company will get it covered. When you hire one of our guards, your business is left running without interruption. Guards will arrive in full uniforms and in a marked vehicle. They get straight to work guarding your property and then ensure it stays safe. Our guards will check areas such as windows and doors of the premises, then boundaries of the property and set the alarms on your building in the evening hours. All Our guards are fully SIA licensed and provide key holding service giving even more convenience than other security companies. Also don’t forget we are on call 24/7 for last minute or unexpected occurrences. We offer competitive rates that you won’t find from other security companies without compromising on service. We guarantee our quality of work and the ability to stand apart from any other security companies in the following areas: Keynsham, Clevedon, Portishead, Portbury, Avonmouth & Weston Super Mare. We cover a wide array of locations including warehouses, construction sites, parks, events, schools, farms, retail, and much more. Leave your security needs to us and you will see why so many people have chosen to work with us over the years. 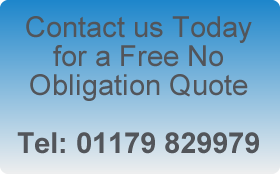 Contact Bristol Security Guards today to discuss your security needs. are an established Security Company providing fully trained security guards to clients across Keynsham, Portbury, Avonmouth, Portishead, Clevedon & Weston Super Mare. If you need a Security Guard our security companies around Bristol can provide both male and female guards for as long or short a period as you require - covering anything from a single event to a long term security contract. Bristol Security Guards provide security services to suit our clients individual requirements, offering Security Guards for Retail, Construction, Events & Festivals, Mobile Patrols, Key Holding & 24 Hour Alarm Response. All of our Security Guard personnel are security checked, vetted, fully trained and are SIA licensed, guaranteeing you peace of mind. Our security services are available 24 hours a day, 7 days a week, 365 days a year, serving retail, commercial & industrial premises throughout Bristol and the surrounding areas.